. :: FIRST EDITION FOR BRAZIL ::. 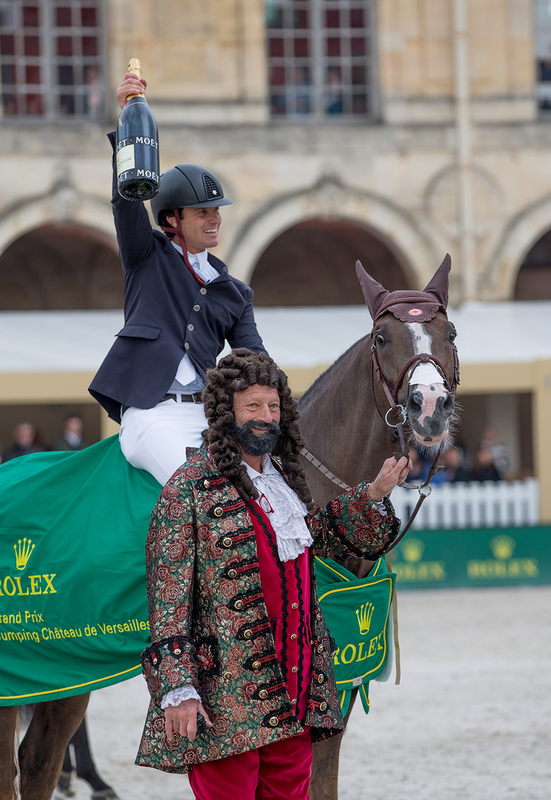 Pedro Veniss loves the Grand Prix Rolex. 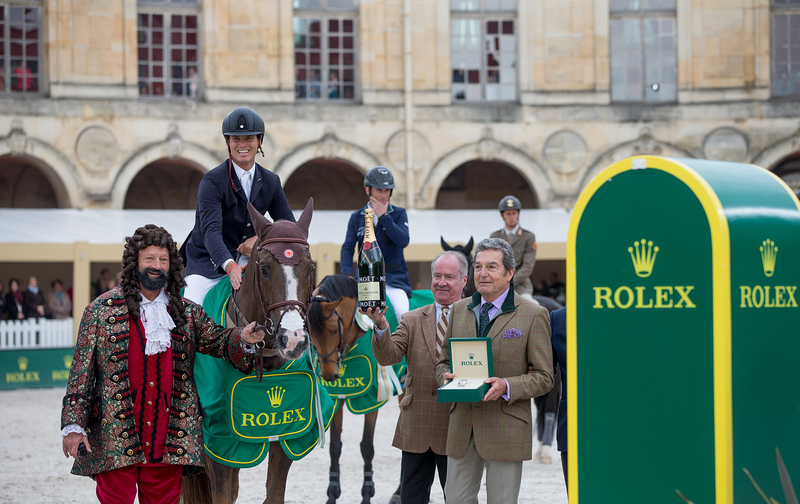 Five months after winning Genève’s, first leg of the Grand Slam Rolex of Showjumping, he becomes the first winner in the history of the Grand Prix Rolex du Jumping International du château de Versailles. 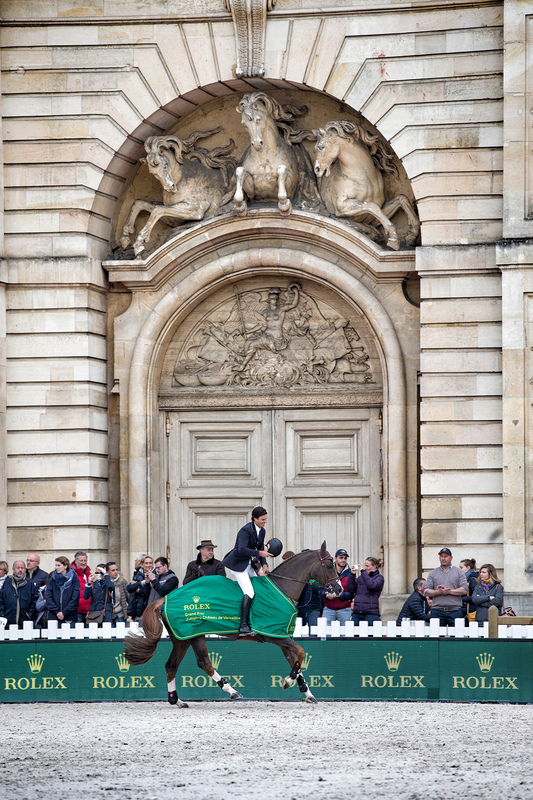 A new victory for this rider who, at 18, chose to leave his native country to come train in Belgium at Nelson and Rodrigo Pessoa’s, with the goal to become one of the best rider in the world in mind. 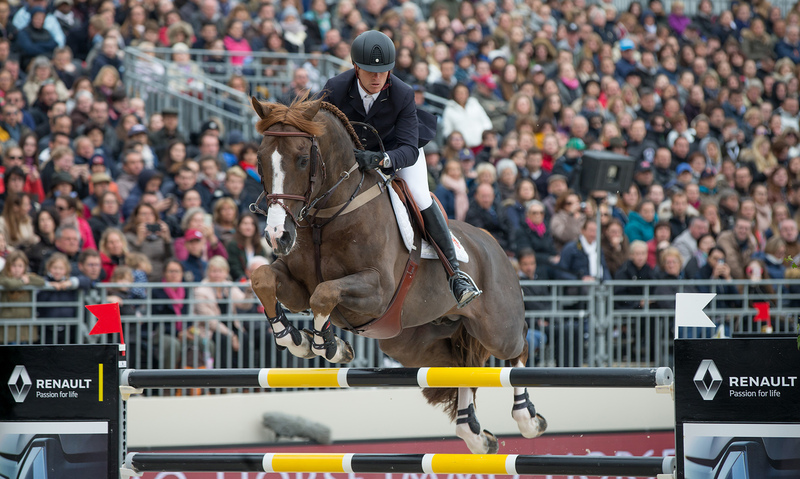 Quabri de l’Isle, his burnt chestnut stallion, is one this horse which makes the public fall in love with. 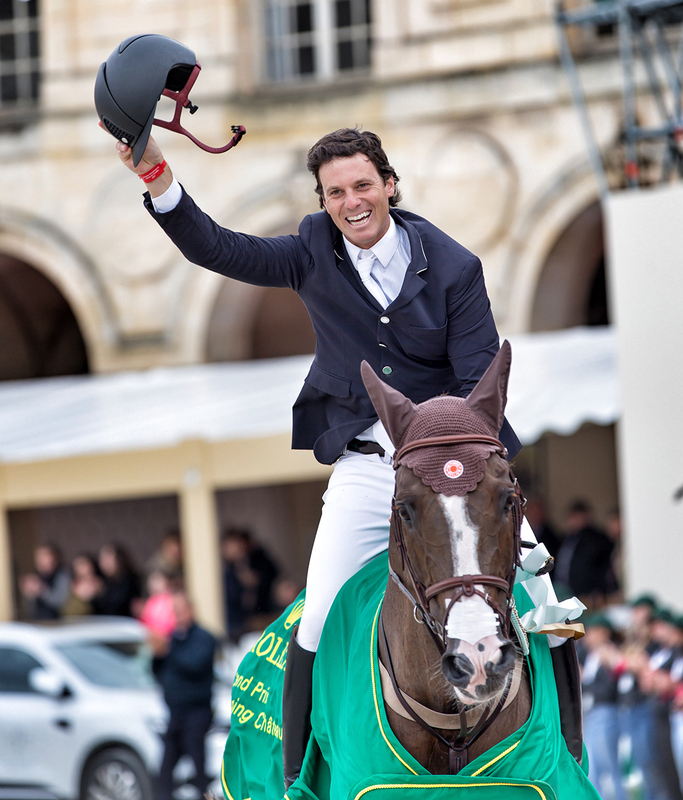 But he is not only good-looking, he is also one of which a rider can dream of a great sport destiny. 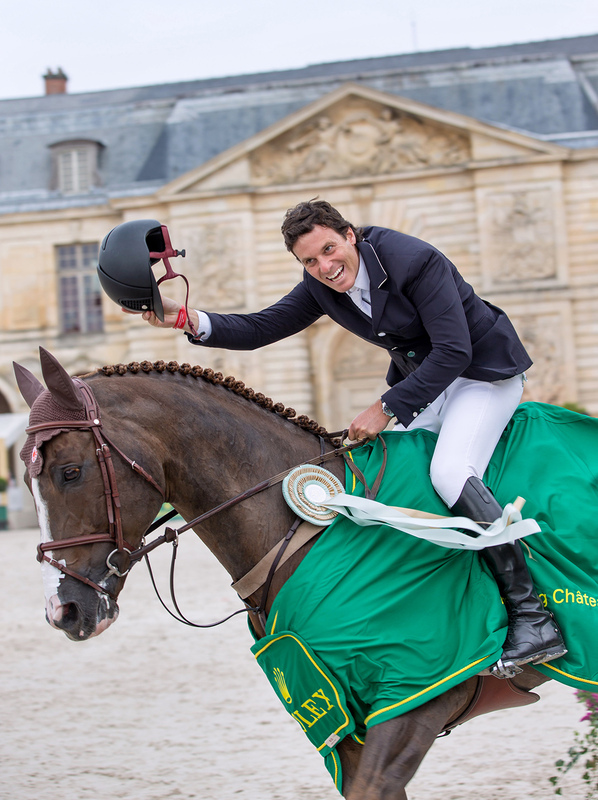 The main objective of his rider was a good performance at the Olympics of Rio last year, in front of his local crowd. Unfortunately, that did not go as planned. Therefore, Pedro, 31, has decided to focus on other great achievements, on victories in major Grand Prix. 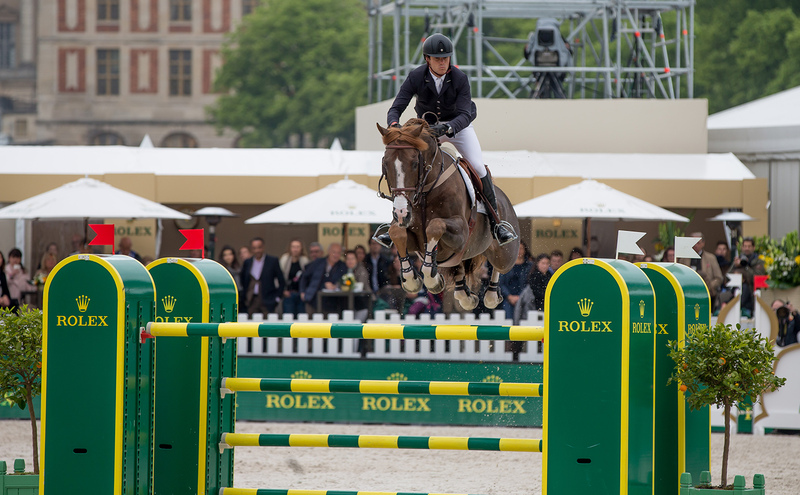 Geneva was the first, Versailles apparently the next and then maybe Aachen for a second victory in the Rolex Grand Slam. For now, Veniss just enjoyed this new victory: “especially since it was not easy: it’s exhilarating to win by a hundredth of second…” This little gap that went missing for Denis Lynch (Echo de Laubry), but it took more to annoy the undaunted Irish: “it’s the law of sport, Pedro was simply the best. I don’t see how I could have ride faster, I have no regrets”. 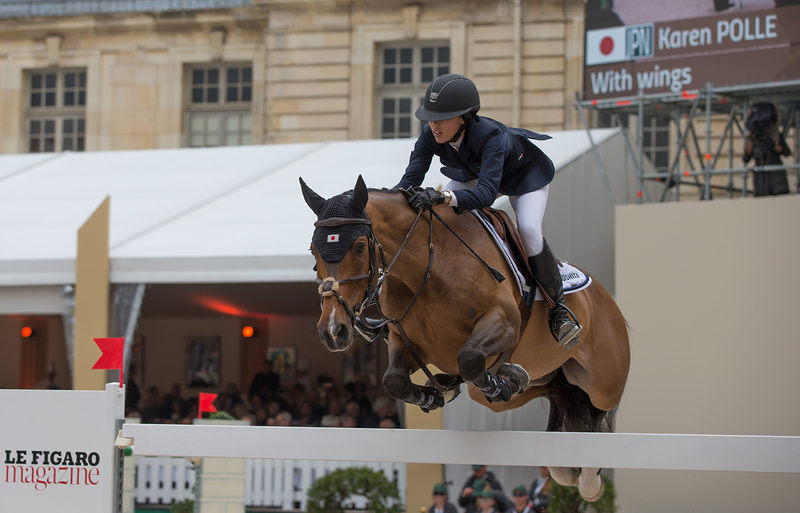 Third of this Grand Prix Rolex, Japan Karen Polle, less well known on our continent. 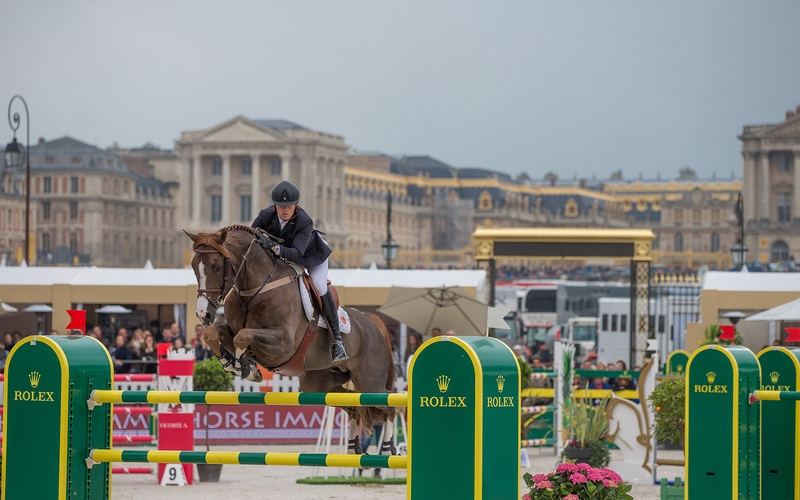 Trained by Rodrigo Pessoa, she begins in Versailles a European tour: “I know that my name doesn’t really sound like Japanese: my father is American, my mother is Japanese and I am myself Japanese”. Atop With Wings, Karen begins ideally her tour, after many great successes across the ocean, especially in Wellington. 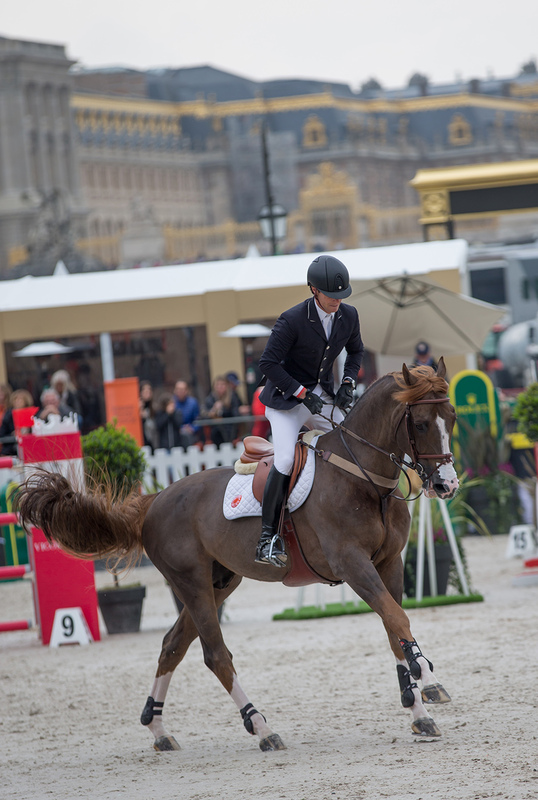 The leading trio was finishing in the same second, just like Patrice Delaveau, ranked fifth and best French, with Aquila HDC. A good start for the outdoor season. 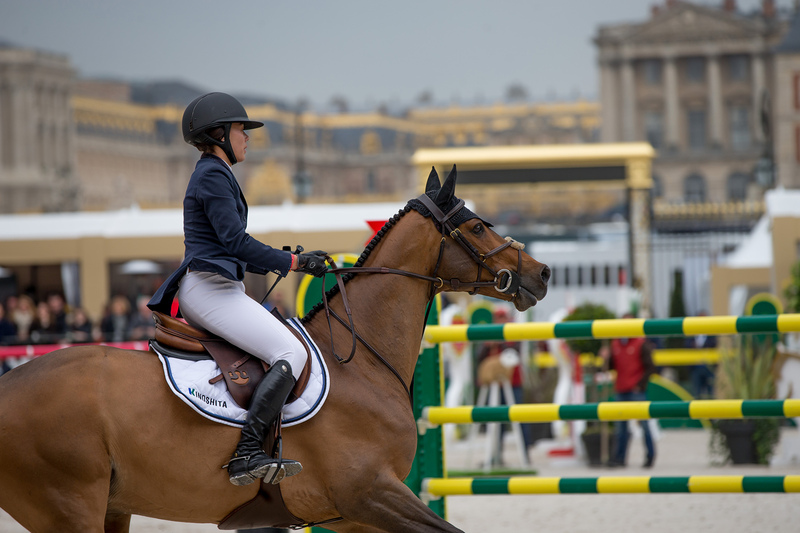 After three days of intense competition, Catherine Pegard, President of the château de Versailles was “fascinated by the complicity between horses and riders. When you don’t know the discipline, you clearly can not understand the special connection of a pair. This jumping totally belong here, in these stables to which it gave life. It seemed it has always existed”. 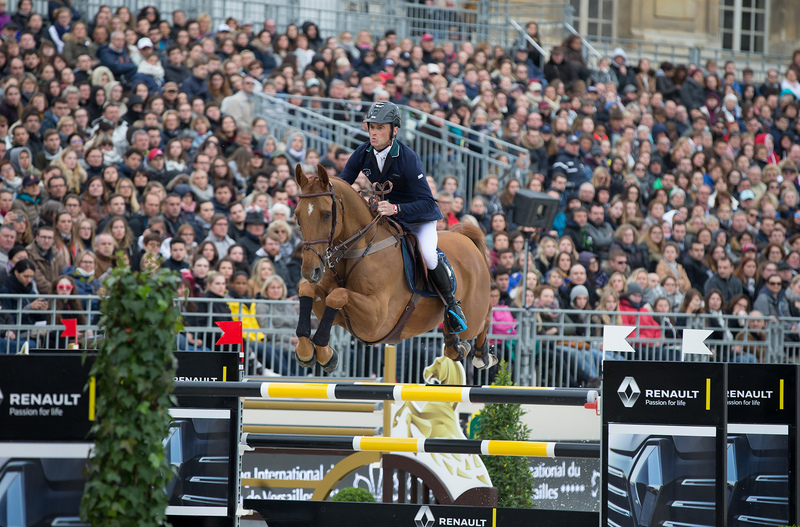 Yet, it’s been only a year since the idea grew as Gerard Manzinali, President and creator of the Jumping International du château de Versailles, reminded the crowd: “it was kind of a crazy challenge but we have found here real allies. 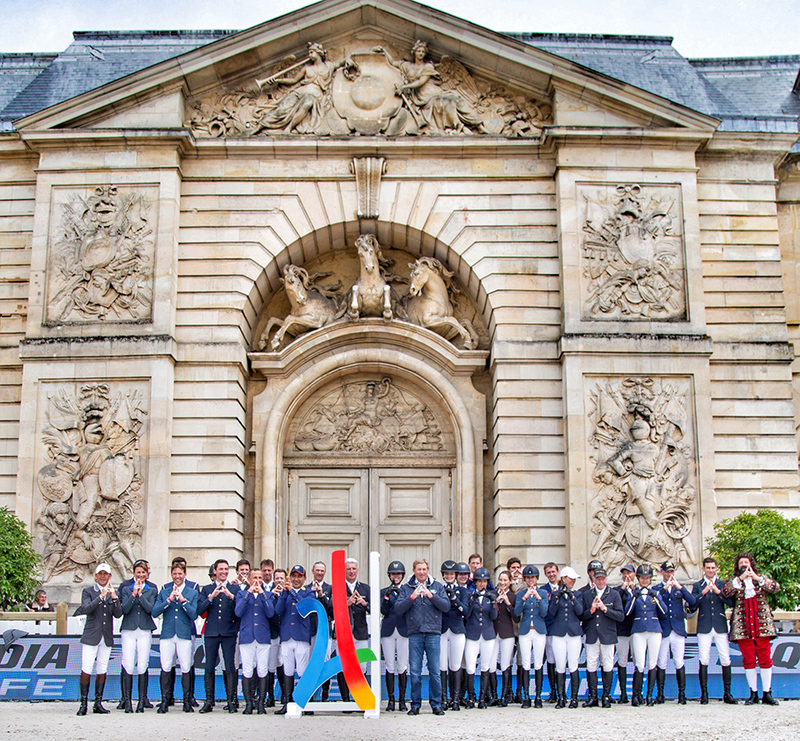 Of course, we still have to correct the few imperfections of a first edition, but it was clear that all actors of this event seemed happy: spectators, sponsors, riders… There will therefore be other editions”.